We recently ran into Emrah Kovacoglu, Founder, President, and CEO of Total Beauty Media (www.totalbeauty.com), a well funded Beverly Hills startup focused on providing content for the online beauty market. Total Beauty has raised $10M from Wallington Investments and U.S. Venture Partners. Emrah spoke with Ben Kuo about his firm. 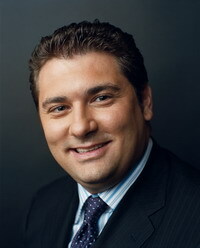 Emrah Kovacoglu: I spent the last ten years at Proctor and Gamble. I worked in digital marketing the whole time, specifically in the beauty space. There were two needs I saw arising at the same time, and saw the need to build a company that was at the intersection of those needs in providing a solution. The first need is in the consumer space, on the beauty side. There are so many new products being launched in the beauty area every year, consumers are overwhelmed. Many don't understand how they work, and how they should use these together to form the right regimen, and how they are different from current products. The current resources aren't doing the job. We found this out through focus groups at Proctor & Gamble. They need some help, and need a resource to navigate through the beauty industry. The second need was on the marketing side. We were beginning to shift a lot of our money from traditional media to online. As you probably know, P&G is one of the largest consumer product marketers, and as we began shifting online, we realized that there are not contextually relevant places to put those dollars, especially in beauty. We began advertising in adjacent areas -- fashion, celebrity sites, other areas where we thought we might reach the right consumer--but we were not reaching them in the right mindset we wanted them to be in--which is thinking about beauty products. I decided to leave P&G, and raise money to build a company. That became TotalBeauty.com. There, we're aggregating a large audience which we monetize through those advertising dollars that are shifting online. Emrah Kovacoglu: I started the company last February. We've raised $10M from two VCs. Our Series B was led by U.S. Venture Partners. We're located in Beverly Hills, and have 27 people now. The site went into beta in October, and launched publicly in December. It's been great growth to date, we now have 60,000 user reviews on beauty products. Last month, we had 670,000 unique visitors to our community. The growth has been great. We've gotten a ton of press in the beauty world, which has helped us, and now we have media companies reaching out to us to do content partnerships. They're syndicating content and using our tools to put on their sites. We're focused on four things for TotalBeauty.com. First, we're looking to build the largest and most comprehensive beauty products library, of manufacturer information, usage, ingredients, user and expert ratings and reviews. It's sort of the CNET of beauty products. That didn't exist, so we built it. The next thing we had to do is build great interactive content. People can view our content, and then go into the bathroom and apply what they've learned. We've got flash, a photo gallery, and video--all of that is original content, which is different from the text-based articles that you'd find in a magazine or general interest women's site. That's the second piece. The third piece is we want to make it her personal beauty consultant. We've layered in some personalization aspects, and will do a lot more over the next few months. For example, you can go and click on our beauty scout and fill out a profile, and tell us you're allergic to caffeine. If you went to a product page with a product with caffeine, we'd quickly tell you that you're allergic to it because it has that ingredient. We haven't done the last piece yet, but will plan to start doing it in the next quarter, but we're making TotalBeauty.com a platform for women to connect with other women with similar beauty issues and needs. Who are the two venture capitalists you're working with? Emrah Kovacoglu: One investor is out of France, Wallington Investments. The other is U.S. Venture Partners. You mentioned you moved here to start the company. Why Beverly Hills? Emrah Kovacoglu: The weather is better than Baltimore. I spent the last ten years in Cincinnati and Baltimore. About ten years ago, I worked in Pasadena, at JPL. I really loved it. The business reason is my cofounder is out here in Los Angeles, and Wallington is also here in Los Angeles. What's your opinion on how much of an audience you can get on a vertical site like this on beauty? Emrah Kovacoglu: I'm a big believer in brand building, and making TotalBeauty.com a brand which is the place to go which is beauty related. If you've got any questions, or products you are interested in, we'd like people to think of us as the brand to go to. For marketers, we'd like them to think of us as the place where consumers think about buying beauty products. It's very similar to how CNET is viewed in the electronics space, or where WebMD is seen in the health space. We see that verticals will become much more prominent in the future, and that the market will continue to get more granular. It's an intersting twist, the big portals aren't controlling everything now, and there's this huge long tail of all these bloggers and individuals popping up. I think we're now starting to see consolidation around verticals. We are an example of that, where we're consolidating content around beauty--not only what we've built on our site, but also through a network of sites. We've brought into our community bloggers and other small beauty sites, which might not have gotten the attention from advertisers--because they're too small--but as a group, they have lots of attention from consumers and marketers. It looks like you have some good advertisers, is that from your connections from P&G? Emrah Kovacoglu: One is our connection to the industry. Two, is as I saw at P&G, we couldn't find contextually relevant places to advertise, and other companies are finding the same. In the last eight weeks we have gotten twenty RFPs above six figures for advertising on our site. That's huge for a company that just started. We don't even have enough inventory to yet to fill those advertiser needs. Emrah Kovacoglu: We've kind of broken the business into three phases. The first phase, was the development phase and where got the right management team hired. That's what we've done and launched to the public in December. Phase 2, which we're obviously in, is to enhance the site, and developing and deploying new features. We're optimizing and understanding what consumers are doing on the site, what tools they like, and what content they like. The second thing here we're doing is we're aggregating an audience, and beginning to buy media, form partnerships, and syndicate content in order to drive consumers back to TotalBeauty.com. Phase three for us is really revenue growth, we hope to go into phase three and generate a lot of revenues for our business.